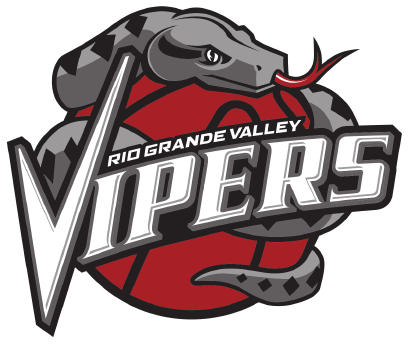 HIDALGO — Darius Morris arrived at State Farm Arena for the first game of his latest stint with the RGV Vipers only about 45 minutes before tipoff. During the game’s opening few minutes, Morris was watching intently on the bench as assistant coach Joseph Blair diagrammed RGV’s offense on a whiteboard, giving Morris a refresher course in the system he ran last season. When crunch time rolled around, Morris was more than ready to go. After the Salt Lake City Stars tied the game midway through the fourth quarter, Morris hit a 3-pointer and later scored eight straight points to lift the Vipers to a 119-105 victory on Wednesday. A leader for the RGV Vipers last season, Morris finished his 2017-18 debut with 16 points, nine assists and just two turnovers in nearly 24 minutes off the bench. After bouncing around a few NBA training camps during the preseason, Morris in January signed a two-month contract to play for the Guangdong Southern Tigers in China. Rather than returning to RGV immediately following that stint, Morris waited to ensure he was fully recovered from a calf injury before signing with RGV. He flew from Los Angeles to Dallas on Tuesday and completed his trip to the Valley on Wednesday morning, arriving around 10 or 10:30 a.m., he said. The team announced his return just minutes before tipoff. Morris scored just four points during the first three quarters, and with 8:42 remaining in the fourth, the Stars pulled even for the first time since the opening half. Then, Morris hit a 3 with 7:11 to play to give RGV the lead. He later went on a personal 8-0 run to put the Vipers ahead 108-98 with 3:58 remaining. The 41st overall pick in the 2011 NBA draft out of Michigan, Morris has played for the NBA’s Los Angeles Lakers, Philadelphia 76ers, Los Angeles Clippers, Memphis Grizzlies and Brooklyn Nets during his career. Morris was the Vipers’ leader in total points and assists during the 2016-17 regular season, averaging 20.0 points and 6.4 assists per game. He was the centerpiece of the team’s run to the G League finals, posting a team-best 23.3 points and 7.9 assists per game during the playoffs. He said his biggest challenge coming back this season is learning his teammates. Julien Lewis, Chris Walker and Houston Rockets assignment player Chinanu Onuaku are the only holdovers from the 2016-17 squad. The win improves the Vipers to 28-20 on the season. RGV is assured a spot in the postseason and is in position to potentially host a playoff game as the top wild-card team from the Western Conference. The Vipers can lock down the No. 4 seed and a playoff home opener by finishing with a better record than fellow wild-card teams the Texas Legends (28-20) and Reno Bighorns (27-21). RGV has just two games remaining in the regular season, including a road matchup against Texas on Friday. The Vipers hold a 2-1 lead in the season series against the Legends, but Brase said Texas would own the tiebreaker with a win on Friday. The Vipers close the season at home against the Oklahoma City Blue on Saturday. In addition to last year’s playoff run, Morris helped the 2013-14 Vipers squad to the Western Conference semifinals, averaging 30.0 points and 10.2 assists per game in six contests, including a 51-point, 18-assist outing. He expects to give RGV another lift this season. To make room for Morris, the Vipers waived guard Tony Wroten, who had averaged 10.6 points, 3.9 assists and 2.0 rebounds in 21.3 minutes per game across 35 appearances this season. Wroten had posted double-doubles in RGV’s two most recent games before Wednesday, averaging 11.5 points and 12.5 assists, albeit with 7.0 turnovers. For the season, he averaged 3.5 turnovers per game. The Vipers acquired Wroten with the No. 23 pick in the second round of the 2017 G League Draft.